This entry was posted in Awards, Badges, Cookies, Products, Quilts and tagged #girlscoutcookies, #girlscouts, Girl Scout cookie pins, Girl Scout cookies, Girl Scouts, Girl Scouts of America, Girl Scouts of the USA. Bookmark the permalink. I literally laughed out loud at your description of the current badges as “soulless.” That’s the perfect word to describe them. My heart drops a little each time I see a retired badge, because I think they served as continuity from one generation of GS to another. But I’m getting off topic. 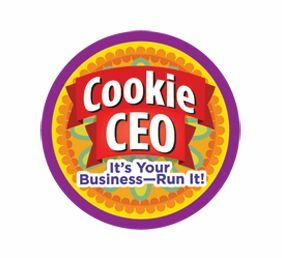 Girls can earn a cookie pin if they attend our council’s cookie rally, but I don’t really see the point either. reading. 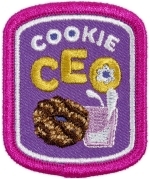 I know Girl Scouts want our girls to sell, sell, sell…but I agree when the badges were introduced the pins should have gone away AND just what are we teaching todays girls with double dipping.